Brazilian sportscaster who is best known for presenting Bom Dia Brasil on TV Globo since 1996. He became the main presenter in 2011. 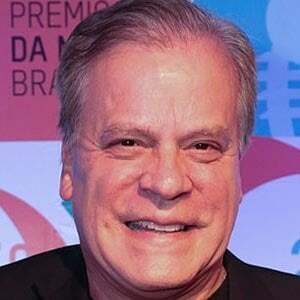 He studied journalism at the Pontifical Catholic University of Minas Gerais. In 2014 he began hosting the parades of the samba schools in São Paulo. He and journalist Carla Vilhena were married until 2008. They share three children together. He is close friends and colleagues with Ana Paula Araujo.